Would you go on a date with someone who didn’t have a digital footprint? August 31, 2018, 1:25 p.m.
Half (51%) of Brits have been on a date with someone they didn’t know well previously. But the mystery of a blind date isn’t what it once was. 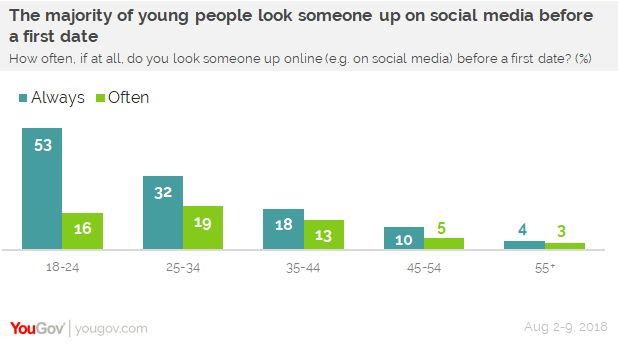 New YouGov Omnibus research shows that younger people are increasingly likely to look up their prospective date online… and get suspicious if they find no trace of them. Over half (53%) of 18 to 24 year olds always look up someone on social media before a first date while a further one in six (16%) do so ‘often’. Just one in twenty (5%) say they never do. Those who are a little bit older (25 to 34) are also likely to look up a prospective date, with a third (32%) saying they ‘always’ do and a fifth (19%) doing so ‘often’. Only one in six (14%) never look their date up. The habit drops off among older generations - only a third of 35 to 44 year-olds look someone up ‘always’ (18%) or ‘often’ (13%), but another third (31%) say they never do. Just one in six (15%) of those aged 45 to 54 look someone up either ‘always’ (10%) or ‘often’ (5%), dropping to just one in twelve (8%) of those aged 55 and above. So which of your social media platforms should you brush up your image on before agreeing to a date? Six in ten (63%) SnapChat users are the most likely to always or often look up their date, followed by Instagram users (51%). Users of other platforms are slightly less likely to search for their dates. Two fifths of Twitter users (41%) and a third of Facebook users (31%) saying they ‘always’ or ‘often’ look them up. Even LinkedIn users are fairly likely to look someone up, with 41% doing so. What if your date isn’t online at all? 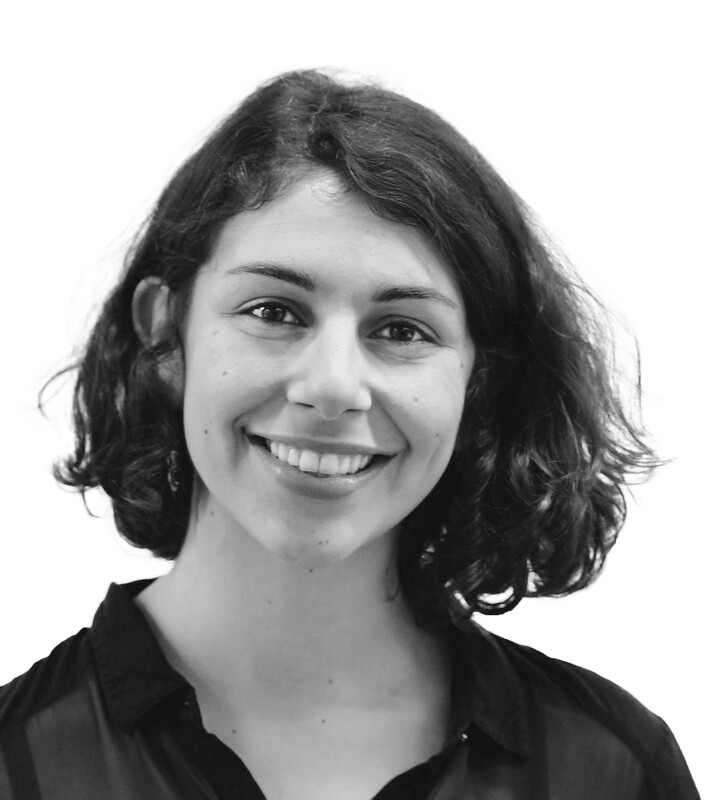 But while many Brits look up their dates online, how would they feel if they found no digital footprint at all? 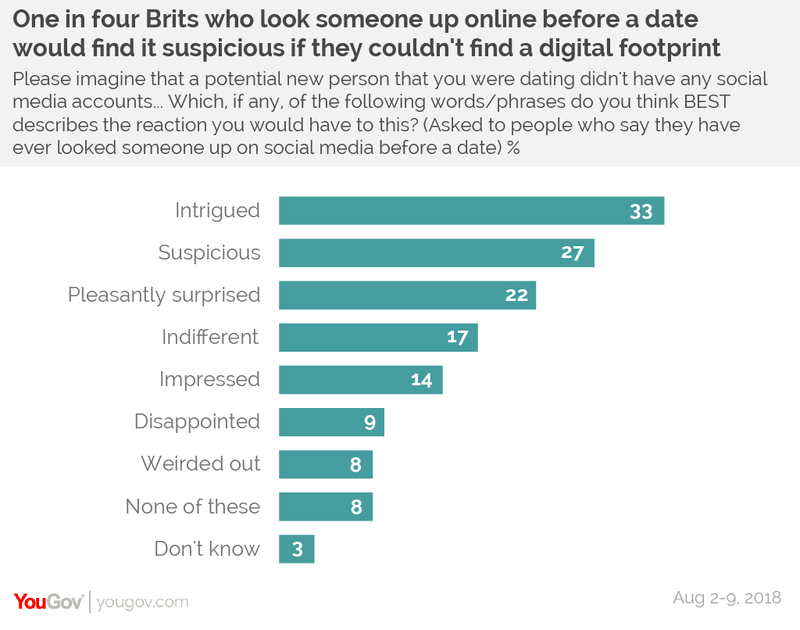 Of those who have ever looked up a prospective date online, a third (33%) would be ‘intrigued’ if their date did not have any social media accounts, while a quarter (27%) state they’d be ‘suspicious’. However, many would react positively with a fifth (22%) being ‘pleasantly surprised’ and one in six (14%) would be ‘impressed’. Only one in eleven (9%) say they’d feel disappointed. Young people are particularly likely to think that a lack of a digital footprint was odd, with four in ten (39%) 18 to 24 year olds feeling ‘suspicious’, and just under half (45%) stating they’d be &apos;intrigued&apos;. Despite the fact that women and men are almost equally likely to look someone up online before a first date, women are significantly more likely than men to have think it strange that the person they were meeting up with had no online footprint. One in three women (34%) would be ‘suspicious’ if their date had no digital presence, compared to one in five (19%) men. Just one in twenty men (4%) would be ‘disappointed’, compared to one in six women (13%). Women are also three times as likely as men to be ‘weirded out’ (12% vs 4%). By contrast, men are more likely to have a more positive reaction. More men than women say they’d be ‘pleasantly surprised’ (27% vs 18%) and ‘intrigued (36% vs 29%). Men are also slightly more likely than women to be impressed (18% vs 11%).